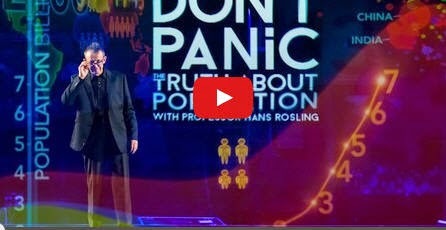 Image above: Short video from Hans Rosling called 'Don't panic, Truth about population. For many geographers into spatial and visual literacy, the name Hans Rosling resonates as the epitome of creativity, innovation and fascination when talking about all things population. Hans Rosling (born 27 July 1948) is a Swedish medical doctor, academic, statistician and public speaker. He is Professor of International Health at Karolinska Institute and co-founder and chairman of the Gapminder Foundation which has previously been profiled on GeogSplace. 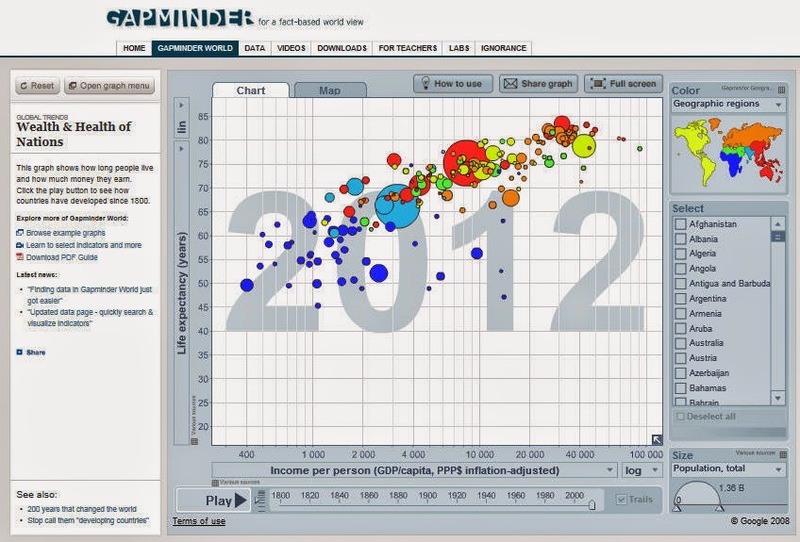 Gapminder is used around the world as an interactive graphic over time application to visualise population &amp; development data. Hans is a bit of a Geography legend and influences politicians, teachers and students all around the world. Check out his Twitter feed to see the sorts of things that he tweets about on a normal day in 'Hans World'. 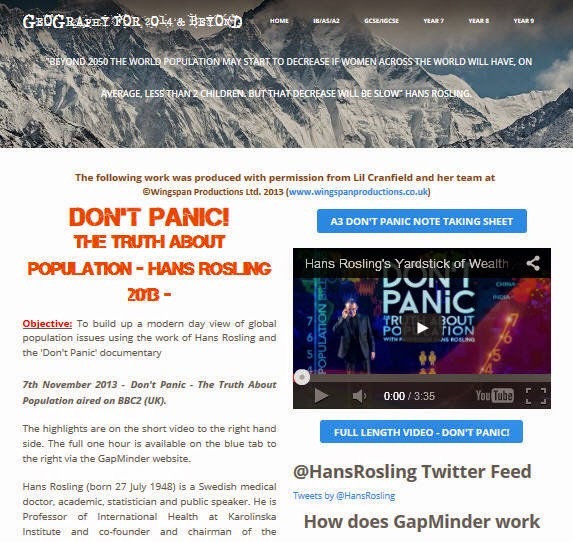 The ‘Geography for 2014 and beyond’ site uses Hans Rosling’s ‘Don’t panic: The truth about population’ resource has some fascinating exercises for great demographic thinking. Whilst on about population, these two sites are useful to gather some up to date data on development indicators for some GIS mapping (just add the chosen field to a spatially referenced database of all the countries of the world). The data also provides the latest indicators compared to the 1990's indicators we looked at in class on 'World Guide'. 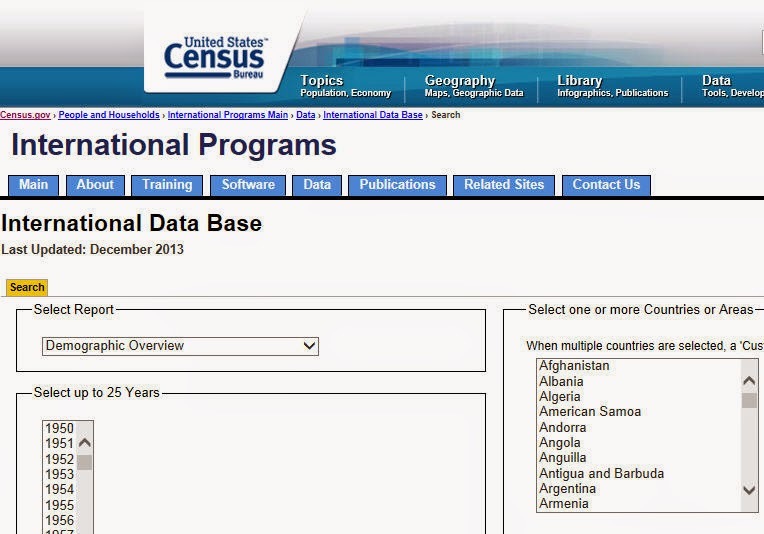 **** For an excellent summary of a country demographics just replace the country name in this URL.http://www.indexmundi.com/angola/demographics_profile.html This is the data for Angola. 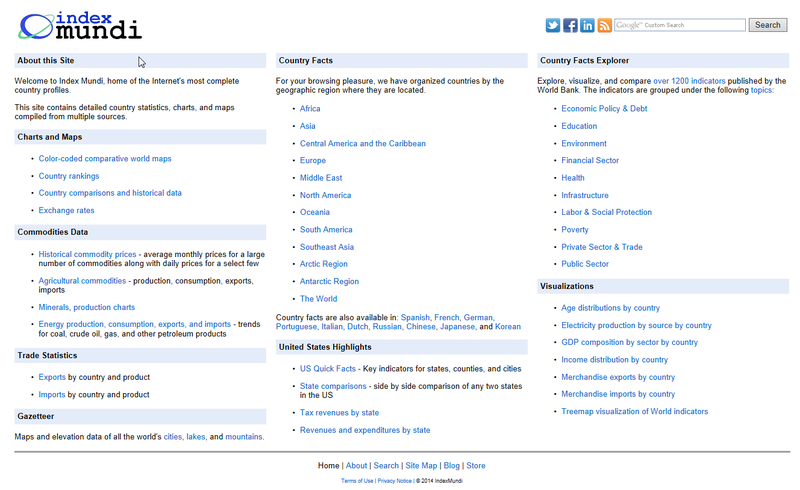 These two sites are interesting examples of visualisations of data. * A visualisation software called Manyeyes. 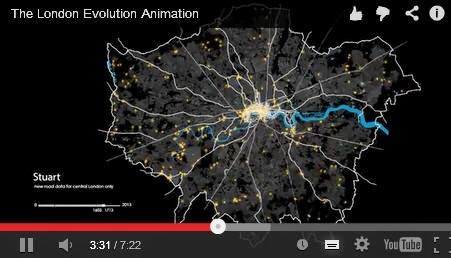 Researchers at UCL's Centre for Advanced Spatial Analysis collated vast datasets to map the capital's transformation from first-century Londinium to modern megacity.